I ordered a Luts Kid Delf Mocha on Monday and have named her Celeste! The name came to me straight away. She comes nakie, hairless and with random coloured eyes though, so don't rely on the site pics too much.. 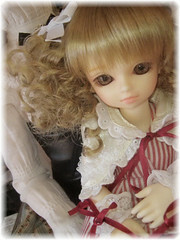 I've chosen a blond wig (the brown was sold out T^T) and a purple outfit for her. I should get her in about a month, but I'm so impatient! The KDF Mocha wasn't on the site back then. In August I made a list of dolls I'd be interested in buying.. Anyone else like dolls..? xD Ever seen a ball jointed doll, Asian or otherwise? Do you think they're adorable, or are they flat out creepy? I think they're gorgeous, really well made. But of course, very expensive. I forgot to mention that eLuts is not the only company that makes dolls XD I've wanted to make a list but cbf'd with coding, so I'll make it here instead for now. Let's see.. My very dollie friend sent me a million links a year or so ago. Yay e-mail search feature. I like dolls any kind even though I don't have tons money at my disposal. 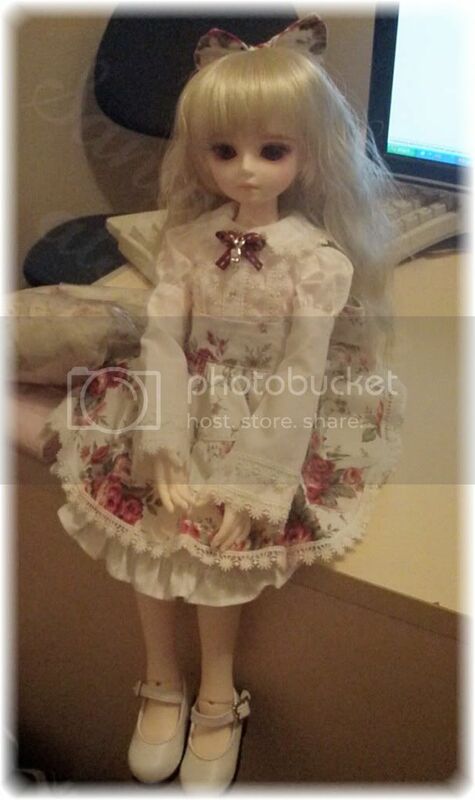 There is this person on deviantART who has tons of pictures of her dolls she took. I forgot her name but her dolls and the photos of them are stellar. Wheeeeeeeeeee I get my doll tomorrow!